Chrysalis Whisperer: The Practice is Going LIVE this Monday! The Practice is Going LIVE this Monday! Coming to a computer screen near you! Oh my golly, everyone... I've been waiting YEARS for this to happen, and it's about to go live. This is really, really, really, really good news! I just was informed that The Practice is going live on Monday, February 13, 2017! "Nod your head, if you did your best." Because I couldn't DO it. In 2012, I decided to upgrade my self image. I committed to doing that intenSati video every day. The goal was 30 days. I did that, then another 30. On my 3rd month, a MIRACLE happened. 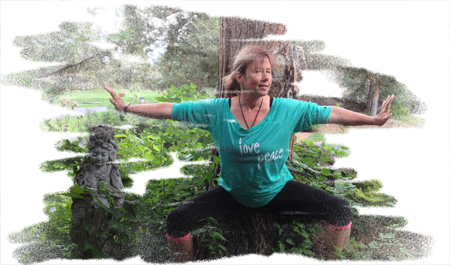 Patricia released a new 13-month program called Sati Life Warrior Training. Every month, a new full workout with new declarations. There was a monthly challenge, a book to study, a monthly call, and an interactive online community. and started a private practice. The following year, I went to New York to attend intenSati Leader training. I joined the training on an invitation I received from Satilife, even though at first, it was so out of character for me, I thought it was a mistake, Surely they hadn't meant to send it to me. I was assured that I could do it. And then I believed I could. This Program CHANGED MY LIFE. 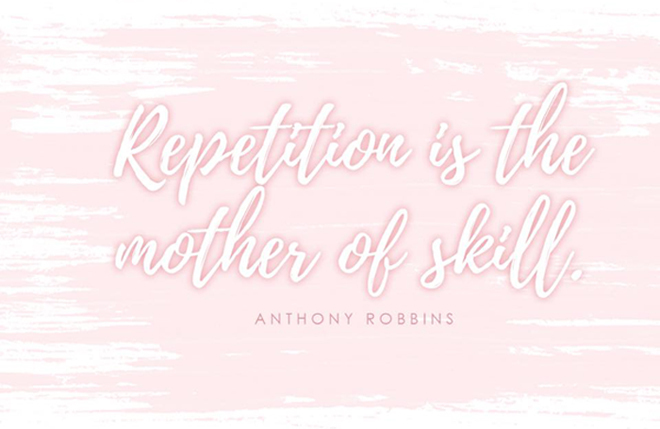 Repetition is the Mother of Skill. Here's my confession: I fell out of regular practice for a couple of years.. I allowed myself to return to old, habitual responses to stress. Slowly but surely,I wasn't practicing every day. I found excuses and said I was too busy. From 2014 to now, I have not felt as healthy, and I have noticed a dip in my energy level. I wasn't practicing my own practice. Here's the good news: I know what to do. I also know that getting into practice means I don't have to wait to feel better. I just need to engage. The good news is that THE PRACTICE is an upgrade from Sati Life Warrior Training, and it starts very soon! I've already gone back to doing the current series daily, and every day I feel a little more energy and vitality. With only a week of daily practice, I'm already seeing my stamina improving. The Practice kicks off with a four-week online course. Patricia will lead you through four weekly webinars to help prime you for the journey ahead. The webinars will help you develop goals that get you excited, and motivated into action. You'll work on developing ways of learning how to respond effectively to stressful situations where you may have reacted in habitual ways in the past. If you have a goal, chances are that achieving it will require that you will need to be different from the person you've been in the past. This will help you develop the tools and the confidence necessary to bring those dreams into reality. You will be able to keep yourself in a high-performance state of mind and body, one day at time. One of the primary aspects of The Practice is the wake-up morning program. What time do you wake up now? What if you could wake up just a few minutes earlier and practice moving and thinking in ways that will shift your experience as you enter into the day? Get engaged in the Game! A guided morning meditation that combines mindfulness, guided visualization, intention setting and a gratitude ritual. ACCESS TO RESOURCES: A yearlong access to information that will keep you going when the going gets tough. 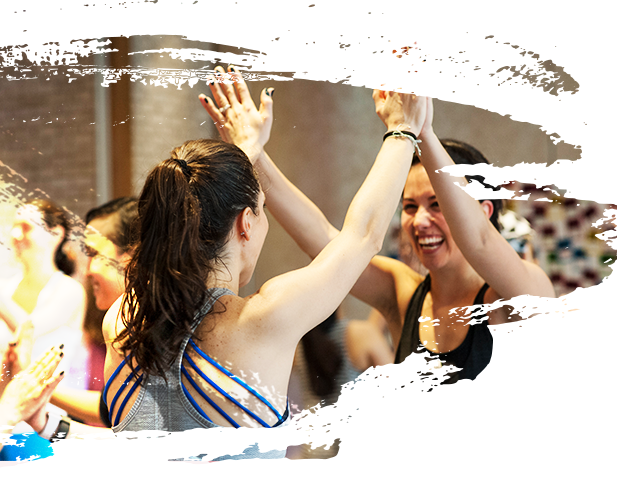 Stay inspired, stay in the practice, and create a sustainable, fun daily practice. Well, are you in? Will you join me? Are you willing to say YES to living a life you love in a body you love and YES to doing what it takes? Great! Click on the button below, and you'll be ready to join me, and a community of encouraging enthusiastic people around the world. Say Yes to your goals and Yes to a commitment to doing what it takes, in a state of love and gratitude, NO MATTER WHAT. Remember, it goes live THIS COMING MONDAY, February 13, 2017!!!! Join Me! It will be a great investment in yourself. And if you're in Bend, come be my guest in class!! Your thoughtful insights are a valuable part of the conversation. Thank you for contributing! © Liz Towill, LCSW 2019. All Rights Reserved. Simple theme. Powered by Blogger.